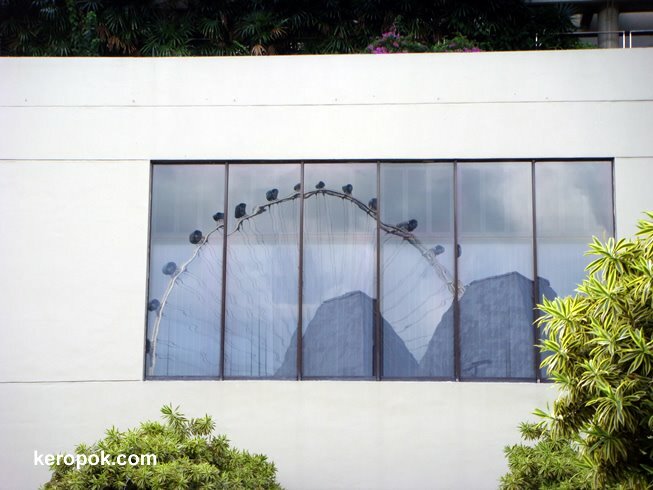 'Boring' Singapore City Photo: Distorted Flyer? What a fabulous photograph - like a work of art. i love the distortion. great capture! and i like the fact that you haven't cropped out the rest of the wall. i won't be able to visit again till april-end. there's too much college work. keep blogging, all the best.